What can 50 acres of underutilized, vacant property provide for the greater Boston region? The Conservation Law Foundation published a new report – Growing Green: Measuring Benefits, Overcoming Barriers, and Nurturing Opportunities for Urban Agriculture in Boston – that explores the economic development potential, assesses the environmental and health co-benefits, and examines policy barriers to expanding food production in the Boston region. Land is available. 50 acres – an area the size of Boston Common – is a small portion of the vacant or underutilized land available in Boston. Urban farms would stimulate the economy by creating jobs. 50 acres of urban agriculture in Boston will likely generate at least 130 direct farming jobs and may generate over 200 jobs depending on actual business characteristics and revenue. Healthy, local and affordable food. 50 acres in agricultural production would provide enough fresh produce to feed over 3,600 people over a six-month retail season. 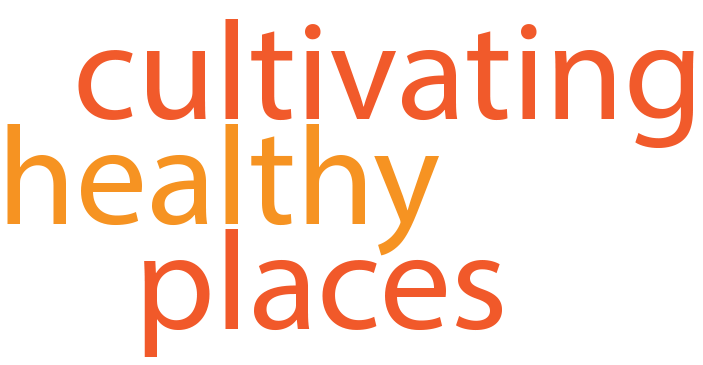 If the produce is used to prepare healthy school lunches in Boston Public Schools, 50 acres could provide more than one serving of fresh produce for each lunch served to a student eligible for free or reduced school lunch over a six month period. If 800 acres of potentially available City-owned land were put into agricultural production, the food needs of approximately 10 percent of Boston’s total population could be fully satisfied during a six-month retail season. Significant environmental impacts. 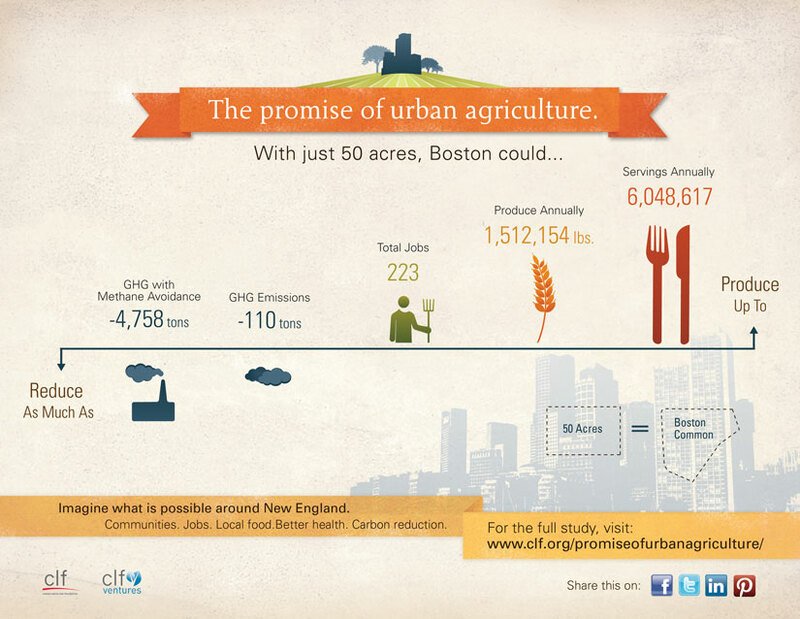 Urban agriculture in Boston will result in a net reduction of greenhouse gas (GHG) emissions. 50 acres of properly managed soils would sequester about 114 tons of cabon dioxide (CO2) per year and may result in an additional CO2 reduction of up to 4,700 tons per year. This entry was posted in Food Systems and tagged economic development, food production, urban agriculture on July 19, 2012 by kimhodgson.